← How to convert documents of Microsoft Office Word to pgm? VeryPDF PDF to Word Converter is a shareware and it requires a paid registration key to remove the limitations of function. In the exciting “Christmas Shopping Season”, you can get a registration key with a lower price at 20% off. 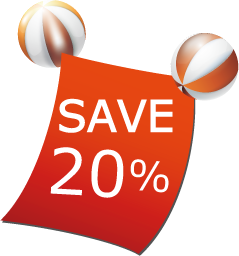 For celebrating the coming New Year, the VeryPDF Inc. offers a 20% discount for a permanent license for the application. Click this link which will lead you to the pay page with a discounted price. Do not hesitate and the discount is valid only before Dec. 31, 2011. VeryPDF PDF to Word Converter is a powerful tool for converting your documents of pdf to word format. It supports to extract textual contents of PDF documents to plaint textual files with removing the graphics of the PDF documents. It can also retain all the text and graphics of the PDF documents in the new converted word documents. Besides converting PDF to Word, the application supports to convert pdf to rtf (Rich Text Format) which is more widely accepted by most word processing applications. Well, do not tell me that you want to search a published registration key on the Internet without buying one. You know, many packages that are declaimed as registration keys are always packed with malwares or virus. Downloading them will bring the risk that your computer system will be affected by the malwares or virus. So your passwords and account information may be exposed in danger. Moreover, searching for a so called effective registration key is always a time costing and tedious work. So it will be better to buy a license for your PDF to Word Converter taking advantage of the discount. Before buying a license even with a 20% price, you can evaluate the application for free. Go to the homepage http://www.verypdf.com/pdf2word/index.html and download a trial version. If you feel like the full function after the trial, just buy a license with 20% off the price displayed in the homepage. Maybe the manual page is helpful for you in the evaluation, http://www.verypdf.com/pdf2word/help/help.html. You will be satisfied with the function of VeryPDF PDF to Word Converter. Do not hesitate to buy the full version with a 20% discount via clicking this link. Hi, when you pay for it on our website, the code will be sent to your email box automatically. I want regcode VeryPDF PDF to Word OCR Converter.